Six months after moving to King County, a refugee family works to reconcile difficult memories of the past with distant hope for a better future. Ali Majeed paged through a stack of meticulously organized paper bills. His wife, Suhad, ran her fingers across the bold black type on bright yellow paper. “DUE DATE: Now,” it warned. But a late electricity bill is the least of the family’s worries, Ali said. After all, the Iraqi refugees went without power in their old home: a tent in a Turkish camp. 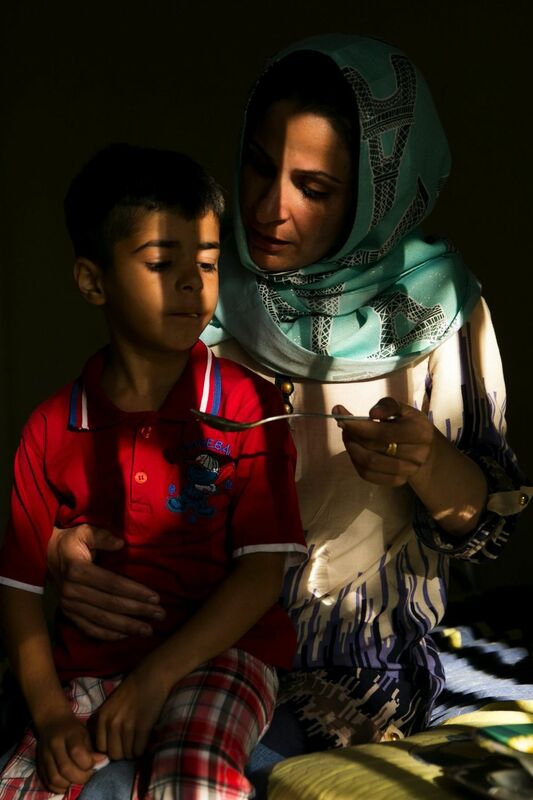 Like many refugees around the world, Ali, his wife and three sons fled home to find safety. Ali survived seven years of imprisonment and torture under Saddam Hussein’s regime, a life-threatening roadside attack during the Iraq war and the loss of several loved ones. The family landed at Sea-Tac Airport in March 2015 to start a new life. Families come to America hoping to make a better life for their kids. Then they hit a new challenge: navigating a regional housing crisis that’s difficult even for more well-off residents. Seattle Times photographer Erika Schultz tells what it was like to meet these people, photograph them and tell their stories. The UN Refugee Agency defines refugees as people who are compelled to leave their home country “owing to a well-founded fear of being persecuted for reasons of race, religion, nationality, membership of a particular social group or political opinion.” With no place to call home, about one percent of the world’s refugees are resettled in new countries each year. In 2014, more than 2,000 of those were relocated to Washington, mostly from Iraq and Somalia. After Ali was attacked in 2008, he and his family fled to the Turkish refugee camp. After enduring difficult conditions for several years, the family was eventually granted refugee status and resettled in Kent. During the past six months, the family has worked to adapt to their new lives in South King County. The children attend school, and Suhad takes English classes while working part-time to support the family. 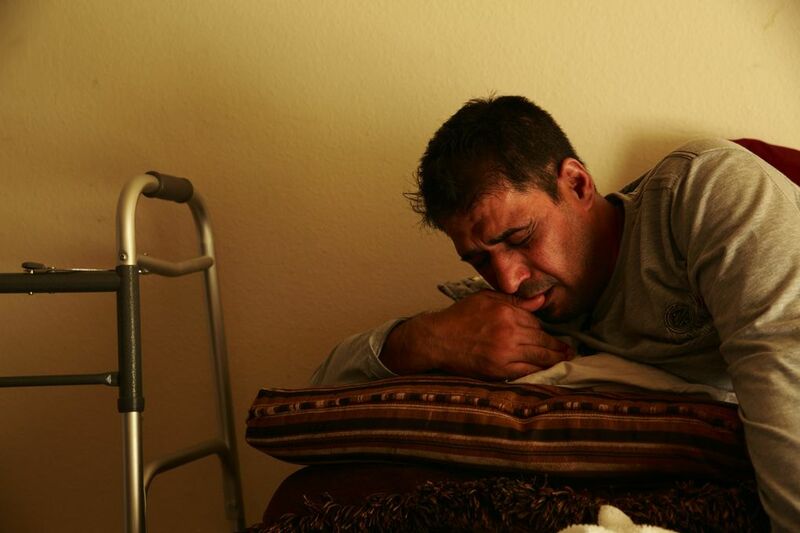 However, Ali was severely disabled by the violence he endured in Iraq, which left many physical scars as well as lasting psychological trauma. With no English language skills, Ali can’t work and even has difficulty leaving his second-floor apartment without help. Given Ali’s limited mobility, his doctor fears it’s not a safe place to live. Isolated and unable to help provide for his family, Ali faces mounting bills — including repaying the thousands of dollars it cost the family of five to fly to America. Ali said he was surprised by how expensive a new life in America could be. “The income we get now is very little,” Ali said through an interpreter. “The rent is expensive for me … I don’t know what to do.” He worries every month whether he and Suhad will be able to cover their bills. The family is on a waiting list for new housing, but it’s uncertain how long that will take. And with their limited English skills, they’re having difficulty understanding which organizations can help them. Even as Ali and Suhad face significant challenges, they take comfort in the hope of a better future for their three young sons. Watch the family’s story in the video above.